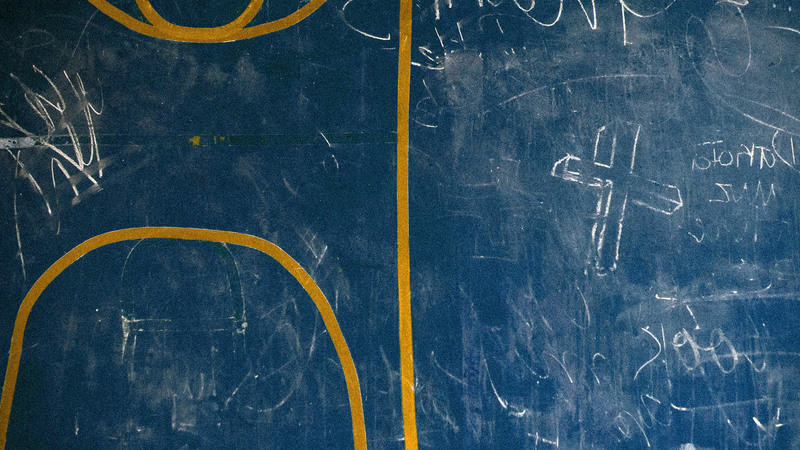 Last week saw the NBA season commence and as expected it did not disappoint. 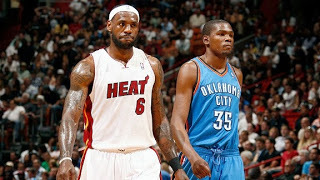 Many believe that there are only two possible winners, Miami Heat and Oklahoma City Thunder. Below we will assess both sides’ chances. The Heat swept away the competition last year, winning 27 games on the trot. Titan Bet price them at 2/1 in the best odds for the NBA to win this year’s title, and these short odds exemplify just how good this side is. LeBron James has been named the league’s MVP for the past two years and is considered by many as the best player in the league. 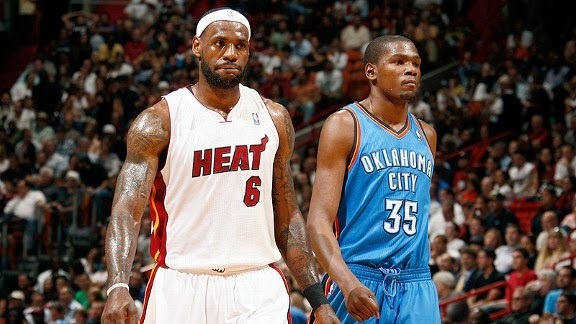 James is pivotal to the Heat’s chances; if he continues with his impressive form then he can lead his side to glory. However, Miami are not a one man side; they are packed with quality with the likes of Dwyane Wade, Greg Oden, Chris Bosh and Ray Allen all more than capable of carrying their side through a tight season. With a squad as talented as this it is hard to imagine Miami not retaining their title. The Thunder lost last season’s Western Conference semi-finals but they are expected to be in the NBA final this time around. Titan Bet’s current NBA betting price of 6/1 highlights just this. Kevin Durant is the other side of the intriguing LeBron James MVP coin, finishing runner-up to him in the last two years. Durant is vital to the Thunder and at times carries the team; he needs to produce another 50-40-90 season to give his side a chance. Besides Durant, the Thunder have Serge Ibaka, who is regarded as one of the best shot-blockers in the league, and point guard Russell Westbrook also oozes quality. The Thunder have a good shot at going all the way this year. Most Sports experts have concluded that this season will be decided by which star player performs better: LeBron James or Kevin Durant. Whoever prevails will win their side the NBA.